ArPM Director, Damian Rogers has been associated with the Australian Institute of Builders for many years and 2015 is the second year Damian has had the honour of judging the prestigious National Professional Excellence in Building Awards. 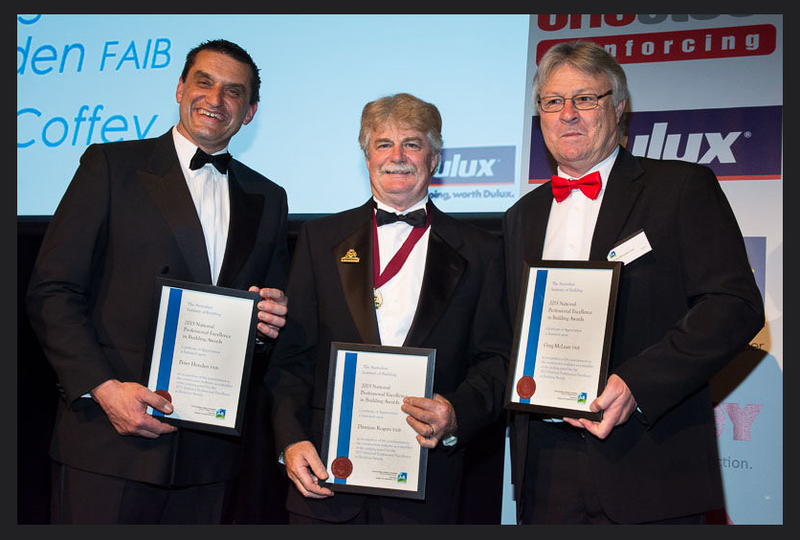 The AIB Professional Excellence in Building Awards reflect the highest standards of building and construction management, research and development of building projects in Australia. These awards are unique as they are the only Australian awards that recognise the individuals’ professional excellence in the construction process, as opposed to the project or completed structure. Entries are both commercial and infrastructure projects in various categories ranging from modest $1 Million renovations to major works over $100 Million. Congratulations to Damian and to this year’s outstanding winners. © 2019 ArPM Pty Ltd. All rights reserved. ArPM office locations: Adelaide, Canberra, Hobart, Melbourne & Perth.